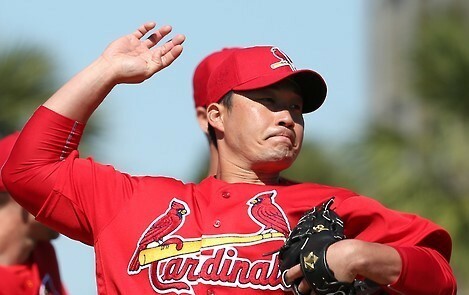 St. Louis Cardinals’ Korean reliever Oh Seung-hwan tossed another spotless inning in Florida Monday. Except for one hiccup last Thursday, he’s been perfect this spring over six appearances. Oh needed only eight pitches to retire the side in order in the top of the ninth inning against the Boston Red Sox. With the Cardinals trailing 4-1, he struck out Jordan Betts looking, Dan Butler to line out to left field and Henry Ramos to ground out to second. None of them are expected to be on the opening day roster for the Red Sox. The all-time saves leader in Korean baseball history has allowed just one earned run on three hits, all in one game, over 6 2/3 innings for an ERA of 1.35.